Microsoft SharePoint/Office 365 is a browser-based collaboration and document management platform built by Microsoft Corporation. As per Microsoft, 75,000 organizations and 160 million users make use of the different versions of SharePoint. Further, SharePoint is one of the most contemporary platforms for business enterprises across the world. The SharePoint platform enables enterprises to share documents, communicate seamlessly, and manage workflows effortlessly. Several enterprises firmly believe that SharePoint solutions are reshaping the technology landscape. So why is SharePoint so crucial for business enterprises? Let us explore. First things first, it is a web-based platform. That means every individual in an enterprise can easily access it using any browser, from any device and at any given point of time. Thus making it more accessible on the go and catering to the needs of the busy executive. In today’s techno-driven economy, every office executive is familiar with Microsoft Word, Excel, PowerPoint and OneNote, and this familiarity with the Office Suite makes a huge difference in adopting the SharePoint platform. Moreover, SharePoint’s native integration with Microsoft products makes the process even simpler. OneDrive for business allows enterprises to provide each individual a personal space on SharePoint. It is like an evolution of the My Documents folder, which individuals generally have on their desktops or laptops. However, the advantage of OneDrive is that it is accessible from anywhere, anytime and on any device. Instant communication channels such as Skype for Business, and Office Suite are bundled along with SharePoint, making communication easy and effective. Social Features – It is now easy to like, share and comment. With the social features integrated into the SharePoint platform, collaboration between employees makes work more productive. Further, the ability to make new connections helps in generating new ideas, leading to innovation. Overall, it promotes a healthy work environment in an enterprise. Every enterprise has individuals categorized into different departments, divisions (or) other categories that define the organization structure as a whole. Publishing Portals, Team Sites, Community Sites, and Groups for Office 365 are some of the integral features of SharePoint, which drastically reduce the efforts required to maintain these. Furthermore, SharePoint supports all the functionalities required for an enterprise to run its business successfully. Certain features such as Workflows, Scheduled Jobs, Content Versioning and Retention helps groups to organize their documents, thereby providing transparency and paving way for a paperless work culture. SharePoint helps enterprises in maintaining their master data at one location using Taxonomy thus making it available at any site under the SharePoint farm/tenant. Enables enterprises to implement branding thereby offering consistency across the digital assets of an enterprise. Information flow and knowledge transfer across the enterprise becomes seamless and transparent. SharePoint reduces the overall applications cost by providing site consolidation. While the initial release of SharePoint was in the year 2001, we have witnessed multiple releases thereafter. Here is a table that provides an overview of various versions of SharePoint, along with the year of release. Let us quickly view the pricing of different SharePoint versions. The prices quoted here are explicit at the time of writing this blog; we would like to inform our readers that these could change in the future. We recommended that you get in touch with Microsoft or visit their website to know the current market price of the products mentioned below. 3-Tier Farm: Application Server + 2 Web Front End Servers + Database Server + 1 failover cluster. It is recommended to undertake an infrastructure and maintenance costs forecast during the initial stages itself that includes Testing, UAT and Production for better clarity and overview. Note: If an enterprise already has a SQL Server License there is no need for SharePoint Server License. Evoke has been successfully providing Microsoft SharePoint solutions for global enterprises for over a decade, gaining rich expertise in SharePoint development and deployment. We are successful in assisting global enterprises by deploying the right SharePoint solutions after carefully analyzing their current SharePoint environment and future needs. Depending on our client’s requirements, we help them in developing new SharePoint Solutions or assist in upgrading their existing SharePoint environment. To know more about Evoke’s world-class SharePoint solutions, please connect with us: +1 (937) 660-4925 or drop us an email at sales@evoketechnologies.com. 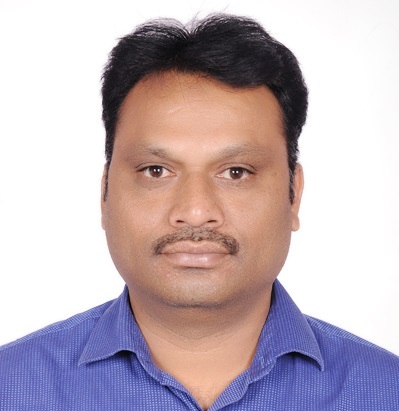 Sreeharsha Maddoju is a SharePoint Technical Lead at Evoke Technologies. 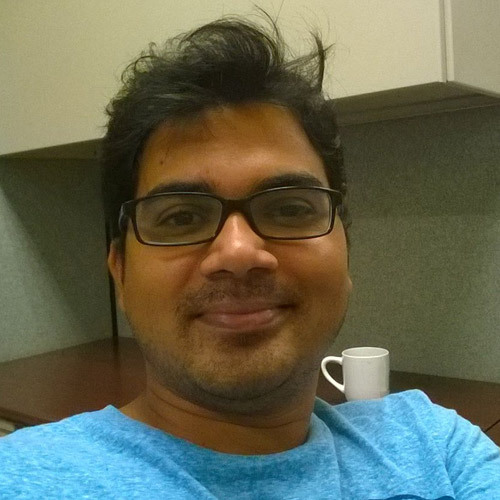 Harsha has 10+ years of experience on diverse Microsoft Technologies. He is technically adept on both client side and server side technologies. During his free time Harsha likes to try out his culinary skills. Great introduction to SharePoint and the classification is simply superb.